So I was recently given this book by my Grandparents as a gift for my GCSE results! I received them last Thursday and got 3 A*s, 4 A's and 1 B :D I worked really hard and am so pleased with the outcome! I am also so happy with this book! The pages are really thick and lined with gold! Plus the images inside are a mixture of black and white and coloured! 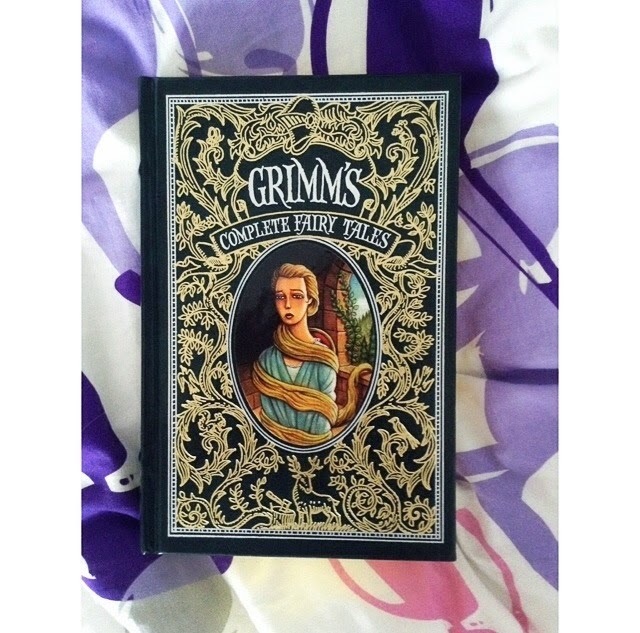 The book includes all of the Grimm's fairytales they wrote as well as a few childhood stories! I would recommend this book to people who love fairy tales or anyone who loves old, antique-looking classic books! I love how the fairy tales don't all end in happy endings but this book is literally perfect for everyone! I'm so jealous! I've always wanted a special edition of fairy tales- I'll just have to save up for one. Good job on the grades! Thank you so much! I followed you back with GFC :) I love your theme too! Lucky! I love Grimm's fairytales! And I love when books have those intricate details to the pages like the gold lining. Super pretty! Bet the illustrations are too!